Jacksons Lane is committed to reducing our environmental impact through becoming a more sustainable, responsible organisation. 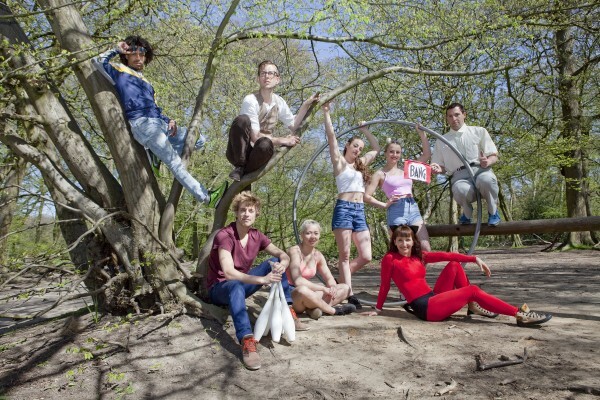 We work with Julie’s Bicycle, a charity which promotes environmental sustainability within arts organisations, who advise us in various ways we can reduce our carbon footprint. We are currently focusing on water usage, energy usage, waste management and travel. In 2018 we were awarded a 4-star rating by Julie's Bicycle, recognising our environmental commitment, understanding and improvement. We aim to be on track for zero emissions and waste to landfill by 2023. We will continue towards making environmental sustainability within the arts imaginative, rather than restrictive. We aim to be a model of best practice for environmental sustainability in historic buildings. We have an Environmental Planning Team which meets regularly to discuss our progress towards meeting our goals, new ideas and developing our environmental action plan. This plan outlines to integral, day-to-day procedures which enable us to improve our sustainability, as well as long term planning for moving forward. Awarded a 4-star rating by Julie's Bicycle, recognising our environmental commitment, understanding and improvement. 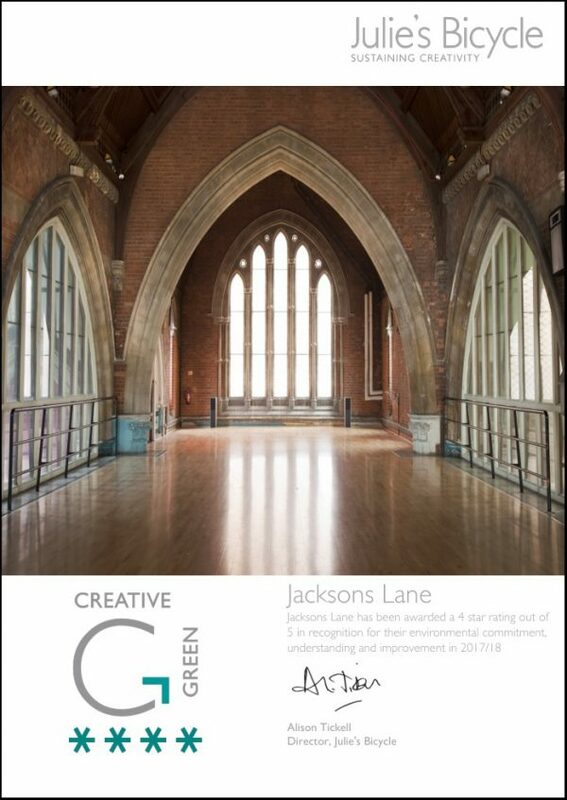 We encourage everyone who uses our building: staff, hirers, audience members, artists, to think about how they travel to and from Jacksons Lane. We have excellent transport links with a bus stop right outside and Highgate Tube Station directly opposite. Support local suppliers and order a refreshing G&T from our Bar. Our house gin and vodka comes from Sacred Spirits who are based right here in Highgate and delivery is made on foot.